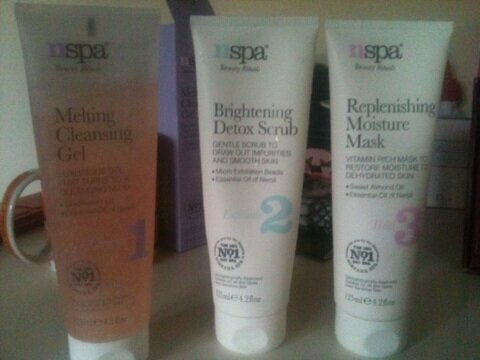 I’ve sorted out my diet amongst my skincare routine with Nspa products amongst, the addition to their moisturizing must have mask however I know there is something is missing. I’m having that beauty desire of having a massage or even getting together with my mum during my holiday period just to go for a spa day. Even before I even made this post I was looking at my local spa place. Have you ever got that sense of feeling through that your body aches in certain places which makes you crave for a bit of pampering or a spa day? This desire is making me want to visit Bliss which is my local beauty salon. They offer some wonderful treatments from massages, pedicure to manicures, tanning, eye treatments, waxing etc. All the things you would expect from a Beauty salon at Fab prices! I remember having a birthday pampering party there when it was called ‘Just Beauty’ – the thinking and looking back just makes me crave even more! The party packages are great for groups to have spa day or even just a mother and daughter half a spa day amongst, adding in the prep packages for brides to be or holidays. Right enough said I’m going to book an appointment to go for a bit of pampering in order of celebration of 5th birthday of the blog amongst, having a break since it’s been none stop ride on the roller-coaster since the start of the New Year. Find out more about Bliss Beauty here.